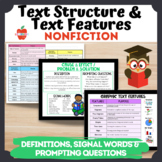 This is a chart I created to help students identify and check off the various text features and text structures that are found in informational text passages. 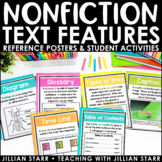 This gives the students the opportunity to become familiar with text features and text structures and how they relate to informational text. 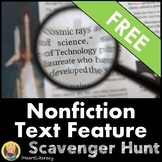 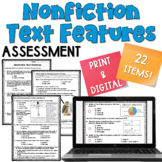 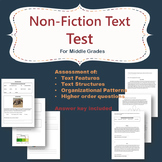 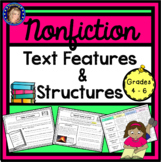 Test your students' knowledge of different text features and the 5 main text structures for Non-Fiction.Aligned with CCSS and Reader's Workshop.